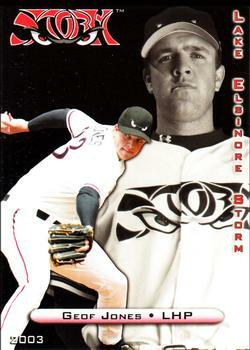 I was asked to try dropping down after I had a spark of success with a slider in short season a ball in Eugene oregon. The problem was that I was contorting myself by trying to throw over the top so much that it was throwing off my rythym. I was called up to Ft wayne full season A and had a coach named Gary Lance that explained to me that my arm angle was actually 3/4 and I was forcing it over the top. I remember them filming me and telling me to throw sidearm and I thought I had and I had really only dropped my arm angle a couple inches. Its crazy how your body plays tricks on you. After dropping down, my arm hurt less, I had better movement, and started to show up on the padres radar. The advantages I saw from dropping down initially was being more relaxed. I felt that I was in a better body flow and I actually didnt have to work as hard to make my pitches do what i wanted them to. My sinker had great life instead of cutting in on righties. My breaking ball was very tough for lefties to deal with as well as righties. I focused on two pitches instead of 4. If I had not dropped down I feel as though my career would have been much shorter. I was a late rd draft pick and not really a prospect the first couple years. Once I dropped down I was being groomed as a left handed specialist. I had a niche. Even though I started a couple years dropped down I was still being groomed. I gained confidence and felt as though I was getting better. This kept me playing professionally for I would say more than 2x as long, changed a 3-4 year career into a 10 year career. I would tell someone thinking about it to ask themselves why they want to or need to. Its not for everyone. I would also say dont be afraid to try anything. Dont let someone tell you there is only one way to pitch. As long as you find a way to throw pitches consistently for strikes in all counts who is to say it is the wrong way. Mechanically I would say to remember that when you throw side arm you are really not throwing underhand or even straight to the side. Your bending your torso, meaning if you took a side arm pitcher in the middle of his motion and straightened him out, he would still have his elbo level or above his shoulder. Also I would say that because of the side to side movement, it is incredibly important to remember to try to stay online with the plate and finish forward and not spin off. I threw a sinker and a slider. I threw a changup off and on and wish I could have developed that pitch more. But because of the movement I had with the sinker and the right turn my slider took I got away with just the two. But I did not make it to the bigs, the change up might have made the difference in hindsight. Lefties were always thinking about my slider, so sometimes I would just beat them inside with a sinker. Other times I would set them up with slider early and finish sinker. It was always fun throwing fastballs and seeing them wait for a sinker. Righties I would work sinker away, in then slider backdoor or backknee. Often it would end up in there knee. Honeslty a good sinker is an out very often. Just the fact that hitters know you have a good breaking pitch can make your sinker devastating. I think my favorite part of throwing from the side is that it gives you a bit of an identity. Also it is pretty sweet to have right handers swing at a slider that ends up hitting them in the chest. The other thing I really liked was knowing that for the most part guys were going to have to get three hits at least in an inning to score, assuming you throw strikes. A good sinker will get a gb so often that I wasnt afraid to give up a grounder up the middle knowing that I had a double play in my hand next pitch.